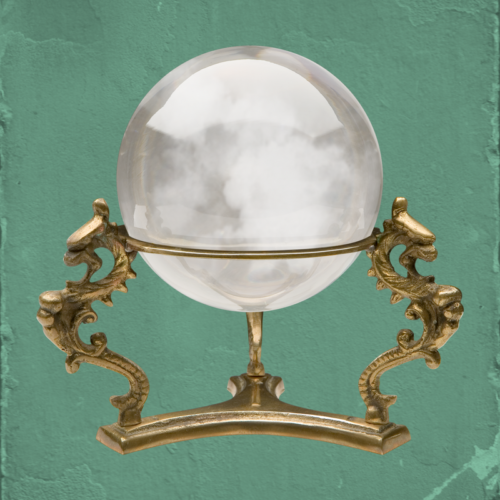 What does a relationship have in common with a crystal ball? In the beginning, relationships can be amazing. Everything seems perfect. It’s as if the partnership is like a glorious crystal ball in which a couple can see not only their past and their future (one can never glimpse the present, it is a fleeting moment), but also themselves. In the beginning, everything is so clear and so beautiful and so simple. …And then life happens. Despite the best efforts to keep things under control, tempers flare and emotions run high between those whose hearts are interwoven. As a result, the crystal ball is marred. Never again will things be so perfect. Never again will the relationship be so pure. Never again will it reflect so clearly. As I think back to my marriage, I can see that the “crystal ball” that was mine and my husband’s relationship might as well have been one of those extra bowling balls at a bowling alley. It was full of holes and scars and gouges. It begged the question whether it qualified as a “ball” in the first place. It was heavy and rather embarrassing to carry around. There was no clarity. The past was a miserable abyss. I could see no future, nor could I recognize myself. Like a used bowling ball, it served as a constant reminder that better options were available if only I’d make the investment. Since the divorce, the ball is different. It’s much smaller now, as it carries less significance in my life. But it’s also a bit shinier than before. The friendly decade my ex and I spent apart has allowed for a fresh perspective. Presently, I see reflections of the past- the good as well as the bad. And I can more clearly see and define who I was in the partnership, as well as who I’ve become as a result of our union and parting. The future seems clear as well: I anticipate continued friendly, yet far-between, chitchat, void of many of the atrocities which were present in our marriage. For as long as we maintain any sort of relationship with another person, the ball will mirror the effects of the experience we subject it to. Relationships fraught with disaster, disorder and neglect will produce the Bowling Ball Effect. Yet, when people regard each other with respect, care and compassion, the orb retains much of its shine and clarity. Healthy relationships are those which comfortably reflect our past, our future and, most importantly, our true selves. Full Disclosure: Unfortunately, no relationship is flawless and therefore no sphere is spotless. No matter how much we prime and polish and apologize, the ball will remain marked. Those imperfections can have varying effects on an individual- from doubt to determination. And always, the spots on the globe will leave the future reflections somewhat incomplete. The best we can do is respect each other and hope for the best. Posted in marriage and tagged crystal ball, marriage, relationship.